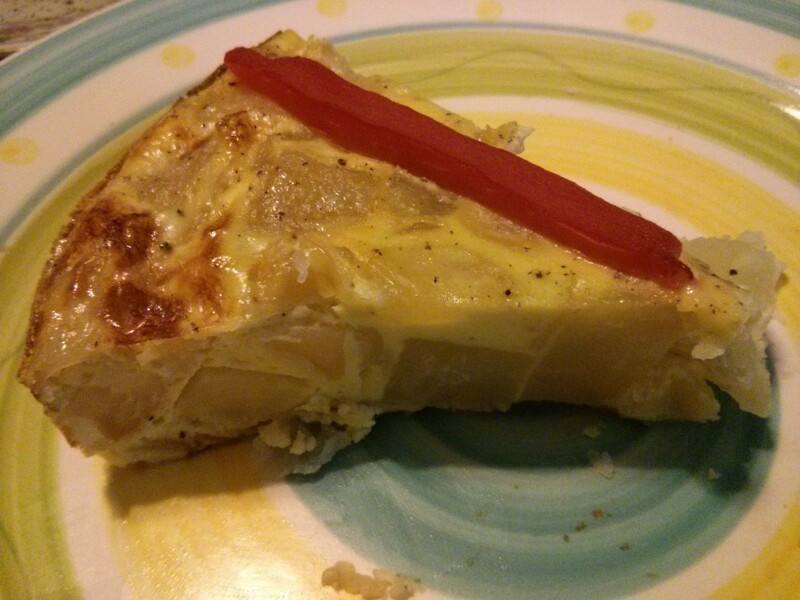 Tortilla Española can be served as Breakfast, Lunch, Dinner, Tapa, snack, hot or cold... It is easy to make and will be enjoyed by all without all the fuss. Dice onions, mince garlic and slice red peppers.. 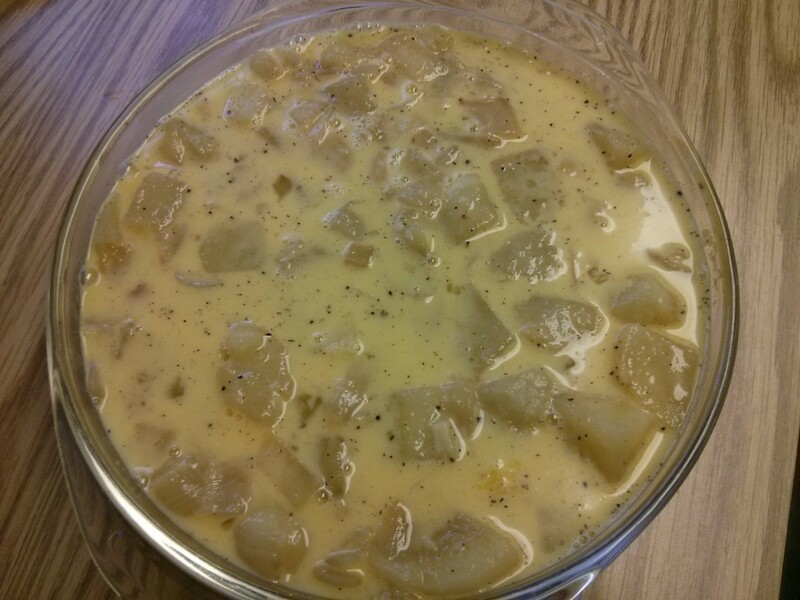 Crack the eggs, add milk & salt/pepper in a large bowl and beat until pale yellow in color. Place potatoes in a large saucepan and cover with cold water. Add 1 tsp. of salt and bring to a boil. Reduce heat and simmer until potatoes are almost completely tender but not mushy or falling apart (about 10 minutes). Drain and let cool for 5 minutes. Heat 2 tbs of the oil in a skillet and cook the onions over medium heat until brown (about 5-7 minutes). 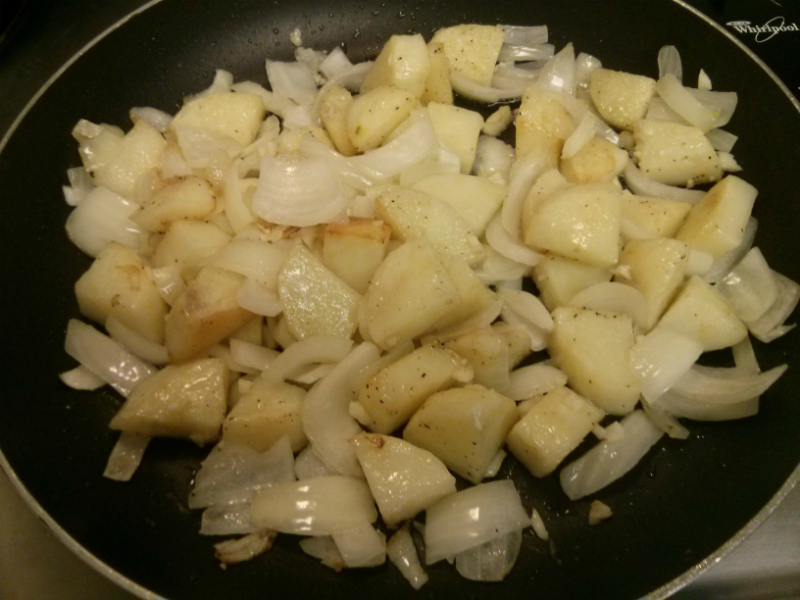 Introduce potatoes to the skillet for the last 3 - 4 minutes to combine flavors and brown potatoes a bit. Add Garlic for the last minute. 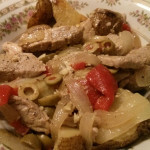 Grease a glass pie pan and place onions, potatoes and garlic in pan. Pour egg mixture into pan distributing it evenly. Tap on counter a few times to remove air bubbles. Transfer the tortilla to the oven and cook for 20 minutes, or until eggs are set, and and potatoes are tender. 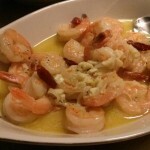 Remove from oven and cool for 5 - 10 minutes. To remove the tortilla from the pan, run a knife around the edge and invert on to a plate. Place red pepper slices on top, cut into wedges and serve. 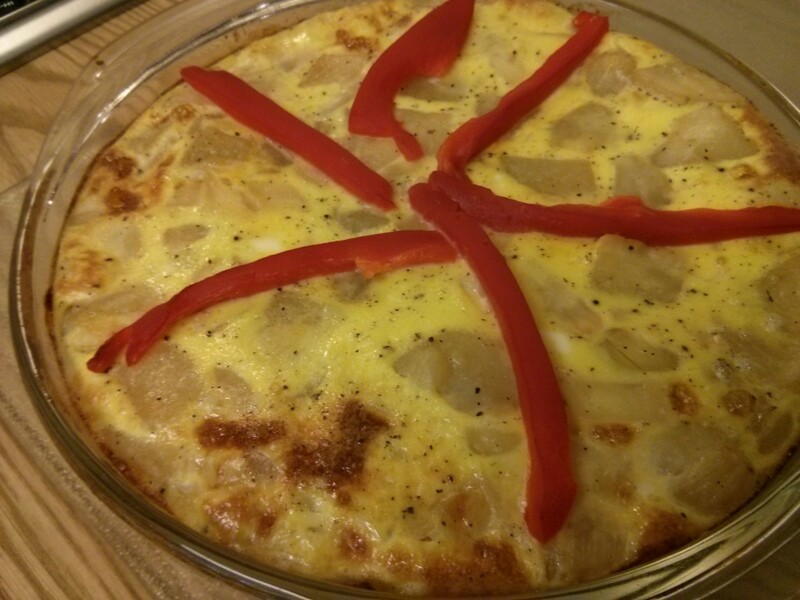 Filed Under Appetizers & Tapas, Breakfast | Tagged eggs, garlic, milk, olive oil, onion, potato, red pepper. Bookmark the permalink.